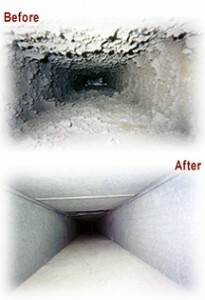 Brian’s Carpet Care uses the patented RamAir cleaning technology to clean your air ducts! Check out their videos on YouTube under RamAir air duct cleaning and you will be amazed! While dirty ducts don’t necessarily mean unhealthy air in your home, they may be contributing to larger health issues or harboring contaminants that could cause serious problems for people with respiratory health conditions, autoimmune disorders or environmental allergies. Air duct cleaning should be conducted every two or three years for a healthier home. Your home’s Indoor Air Quality is important, and having a clean, properly functioning heating, ventilating and air conditioning (HVAC) system is vital to maintaining a clean healthy and comfortable living environment for you and your family. In addition, a newly cleaned air duct system runs more efficiently than a dirty one, resulting in lower utility bills and a cleaner, less dusty home. Our air duct service will remove all dust, dirt, pollen, animal dander and other airborne contaminants that are pulled into your HVAC system every time the furnace or air conditioner runs. Over time, they build up inside your duct-work, making your air duct system a breeding ground for mold spores, bacteria, fungus, mildew and other microbes, which are then re-circulated through your home, impacting the health and comfort of your family. Those who suffer from allergies, asthma or other respiratory ailments, especially children and the elderly, are vulnerable to the effects of indoor air pollution. Have your vents cleaned today!